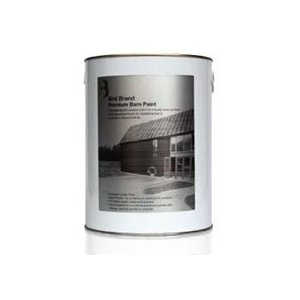 Bird Brand Premium Barn Paint is a water based acrylic paint and it can also be applied onto previously painted Bird Brand Black Tar Varnish, Bituminous Paint and Creosoted surfaces. Rather than flake or crack the finish will flex and keep a gloss appearance despite UV exposure and intense weathering. This product is ideal for decorating residential barns. Including timber boards & cladding, plastic gutters and pipes. A seperate primer is not required except on mild steel due to avoid the possibility of flash rusting. In this case use Red Oxide Primer.